The Atlantic Book Awards Society is pleased to announce the shortlist for the twelve different book prizes comprising the 2018 Atlantic Book Awards. The nominated titles represent a wide range of books from Atlantic Canada—everything from history to kids’ books. The Awards will be given out in Paul O’Regan Hall, Halifax Central Library, on Thursday, May 10 at 7:00 p.m. This year’s Pioneer Award will also be awarded to someone from Nova Scotia who has made a substantial contribution to the literary life of the region. Margaret and John Savage First Book Award – Non-Fiction sponsored by Weed Man Maritimes, Heritage House Law Office, I Love Renovations and Transdynamic Services Ltd.
La Atlantic Book Awards Society a le plaisir de vous présenter la liste des œuvres présélectionnées pour les douze récompenses littéraires des Prix littéraires de l’Atlantique 2018. Les titres choisis représentent une variété de livres du Canada atlantique – des livres d’Histoire aux livres pour enfants. La cérémonie de remise des prix aura lieu à la salle Paul O’Regan à la Bibliothèque centrale d&#39;Halifax le jeudi 10 mai à 19 h 00. Cette année, le Prix du pionnier sera remis à une personnalité de la Nouvelle-Écosse qui a grandement contribué à la vie littéraire de la région. Prix Première œuvre littéraire Margaret et John Savage – œuvre non -romanesque, présenté par Weed Man Maritimes, Heritage House Law Office, I Love Renovations et Transdynamic Services Ltd.
Éditions : Breakwater Books Ltd. When: Monday, March 26, 2018 1:00 p.m.
(Halifax, NS) Join award-winning authors Donna Morrissey and Alexander MacLeod, along with Mayor Mike Savage at Halifax City Hall on Monday, March 26 at 1:00 p.m. for a press conference revealing the nominees for this year’s Atlantic Book Awards. Donna Morrissey is a three-time winner of the Thomas Raddall Atlantic Fiction Award. This year marks the 10th anniversary of the Atlantic Book Awards, which have taken place in all four Atlantic Provinces. New this year, the Board of the Atlantic Book Awards is pleased to announce that the three awards provided by the Writers’ Federation of Nova Scotia will be given at this year’s Atlantic Book Awards Gala. Those awards comprise the Thomas Raddall Atlantic Fiction Award (valued ad at $25,000), the J.M. Abraham Poetry Award (valued at $2,000) and the Evelyn Richardson Non-Fiction Award (valued at $2,000). 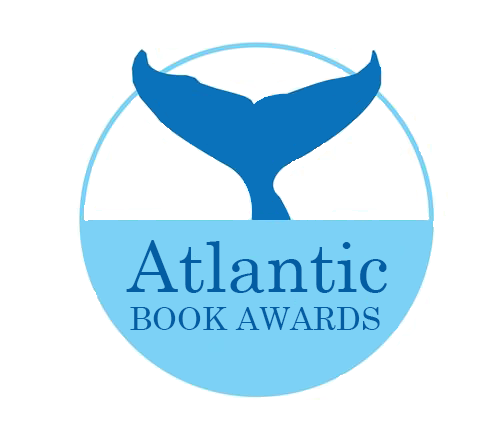 The 2018 Atlantic Book Awards & Festival takes place May 2 -10 with shortlisted authors and illustrators featured in events throughout the Atlantic Provinces. The festival culminates on May 10 in the awards gala at Paul O’Regan Hall at Halifax Central Library. The recipients of thirteen different book awards (and The Pioneer Award) will be revealed at this special celebration. Many of the short-listed authors will be available for interviews following the announcement, either in person at Halifax City Hall or by phone. Confirmed authors who will be in attendance at the press conference are Aaron Williams, Carol Bruneau, Don Aker, Quentin Casey, Lesley Choyce (TBC), Joan Baxter, Brian Tennyson, Karolyn Smardz Frost and Angela Doak. For more information on the Festival and Gala, contact Laura Carter, Festival Coordinator, 2018 Atlantic Book Awards Festival: (902) 209-0279 or abafcoordinator@gmail.com. If you are planning to attend the press conference or are looking for book covers, author photos, to set up interviews, or a copy of the shortlist, contact/RSVP to: Peggy Walt, Cultural Affairs Consulting & Promotion, (902) 422-5403, peggy@culturalaffairs.ca, (902) 476-1096 (mobile).